A full-day search on Thanksgiving for two escaped inmates turned up nothing, Santa Clara County sheriff's officials said on Friday, as they continued to scour the area for the suspects who cut off jail window bars and ran off into the middle of the night. 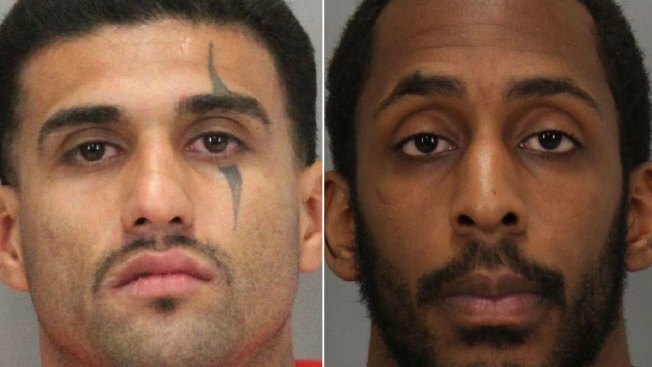 The sheriff's office is now offering a $20,000 reward for the capture of the escapees, 33-year-old Rogelio Chavez of San Jose, who is distinguished because of a large line tattoo over his left eye, and 26-year-old Laron Desean Campbell of Palo Alto. They had escaped Wednesday from the Santa Clara County Mail Jail in San Jose on Wednesday at 11:08 p.m. Authorities had originally made public two spellings of Campbell's first name. 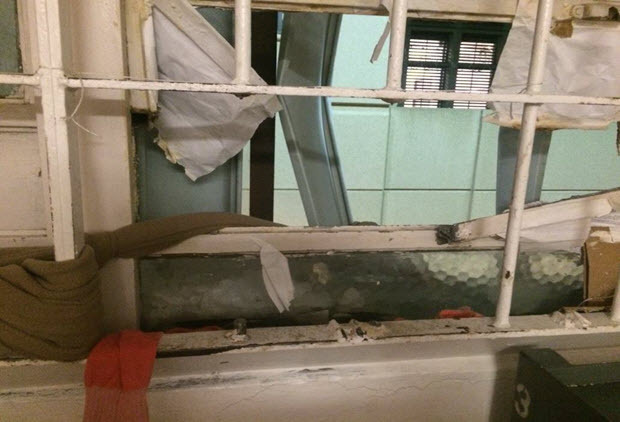 The pair had been with two other inmates who had cut the bars in their cell window in the oldest part of the main jail and rappelled out the window with the help of bed sheets and clothing, Sgt. Rich Glennon said. A deputy on patrol noticed the clothing hanging from the window and two of the inmates were immediately caught. But two others got away. It is unclear how the inmates got their hands on tools to cut the window bars, Glennon said.